The World Uncommitted Showcase gives the players a chance to get their report up online one more time for college coaches looking to fill the spots they have available. In the past players have had good success getting scholarships from attending this event. Please use parking lot near stadium. FIRST IN EXPOSURE. FIRST IN EXPOSURE. FIRST IN EXPOSURE. FIRST IN EXPOSURE. PG’s work begins when yours ends. 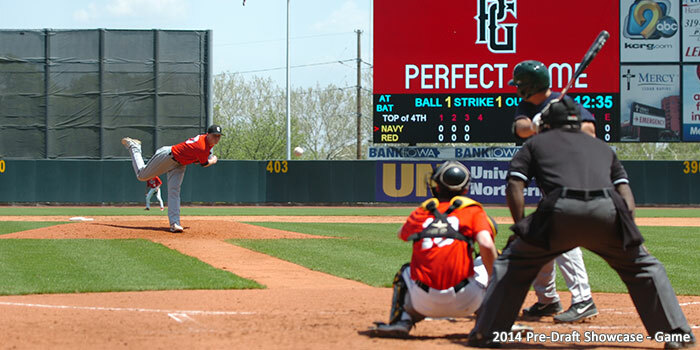 Perfect Game is the industry leader in promoting the game of baseball and its amateur players by providing scouting reports, grades and video clips. All of these are displayed on the players’ individual profile pages, which are available at the fingertips of any college coach or pro scout on a website that receives more than 200,000 pageviews per day. In today’s fast-paced world Perfect Game is committed to supplying information to coaches and scouts as quickly and efficiently as possible across all social media platforms. That includes Twitter accounts @PerfectGameUSA and @PGShowcases that have over 110,000 followers. While it’s not necessary to attend a Perfect Game Showcase to be ranked, it has become a big advantage for many players as it is the only way to guarantee a full scouting evaluation from our staff and get a PG Grade. Once evaluated all players are immediately factored in to our national rankings. Getting to see a player in both a full workout and in game action at a showcase is the best way for us to properly rank a player. A large percentage (well over 90 percent) of the top players in the country attend multiple Perfect Game events each year. No other scouting service has helped more players attain their dream of playing baseball at the next level than Perfect Game. PG prides itself in the ability to assist players in their search to find their new collegiate home and continue their playing careers. Since 2003, over 10,000 PG alumni have been selected in the MLB Draft and well over 1,000 players have made their Major League Baseball debuts. 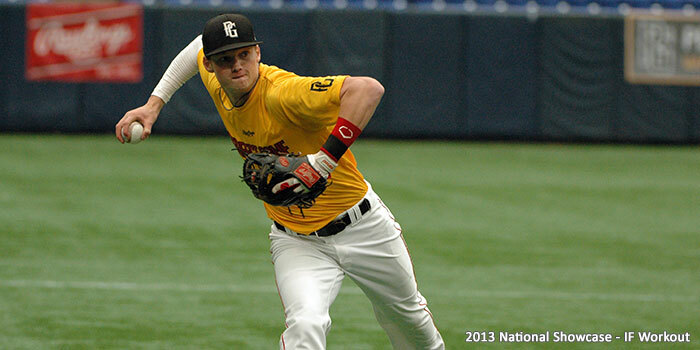 Many players have relied on showcases to maximize their national exposure. Make the investment in yourself to show Perfect Game and the rest of the baseball community your skills. Who knows, maybe we will see you at the Jr. National Showcase, National Showcase or even the PG All-American Classic. 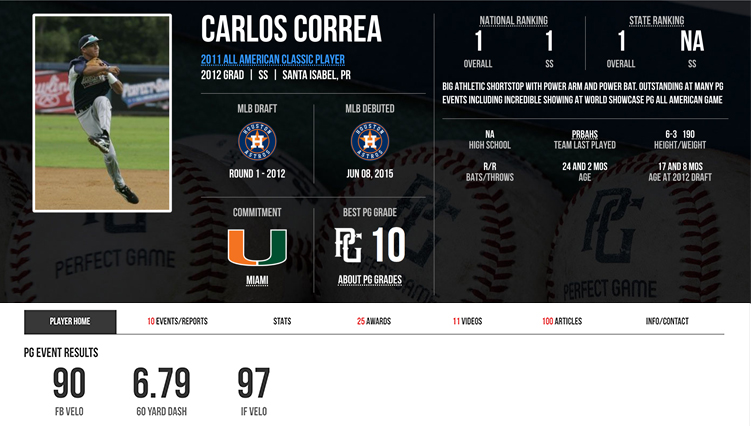 All participants receive their own profile page on the Perfect Game website. It is updated with workout results, scouting reports, and video from the event. Your profile will help you reach the thousands of college coaches and MLB scouts that subscribe to our database. View this quick video to learn more about PG and our showcase events. You will quickly understand why Perfect Game events are by far the best in all of baseball, and how attending our showcases will give players the maximum scouting exposure to play at the next level.